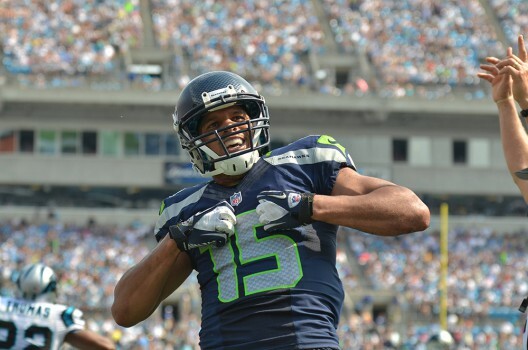 12 Questions with… Jermaine Kearse - German Sea Hawkers e.V. 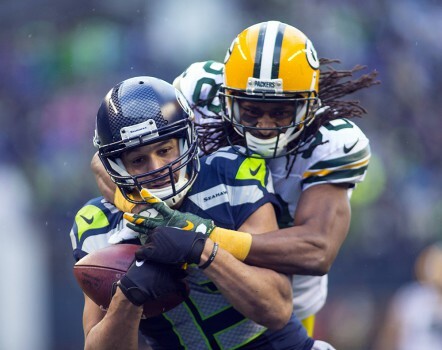 Seattle Seahawks Wide Receiver Jermaine Kearse has a few nicknames: Mr. Clutch, for example. Chop Chop. Or Pedestrian. After the interview with the German Sea Hawkers he may have gained another one: Marshawn II. His brief replies to our questions could make one believe that the receiver has gotten his media training from Beast Mode himself. Nevertheless, we are very happy that he took the time during training camp season and even with his packed schedule had a minute to talk about his German roots, soccer, and his role as the hometown kid. Jermaine, let’s start with some German for advanced students. Fans and teammates call you Mr. Clutch, because you play your best when it counts the most. Do you know what „clutch“ means in German? It’s actually a trick question. We don’t have a translation for how „clutch“ is used in that context so we just use the English word. Dictionaries suggest translations like „Kupplung“ which is the coupling of a car. So in Germany we’re going to call you Mr. Kupplung now. All joking aside: We’re asking you that question because we learned that your mother is from Würzburg, Germany, so you’re half German. How much German do you speak? You have family in Germany. What other relationship/connection do you have to your second home country and how much time of your life did you spend across the pond and when was the last time you visited Germany? I haven’t been there in a long time. I lived there when I was younger. Both my bothers were born there, except for me. Another famous athlete with strong links to Würzburg is German Wunderkind Dirk Nowitzki. You also played basketball in High School. Have you ever met him and exchanged some Würzburg or basketball stories? I haven’t, but I have seen him in the club once so close enough. Right now there is a new potential German Wunderkind catching the attention of NFL coaches, experts and fans: Wide Receiver Moritz Böhringer, who is the first European player that was drafted directly into the NFL without playing in college. Have you heard of him? Do you think he has a chance to remain on the Minnesota Vikings’ roster? Obviously they liked him enough to draft him, so I think he has a chance. Böhringer started playing football just five years ago and is currently trying to adapt to speed, physicality and the mental challenges (playbook) of the NFL. Your story is a unique one as well. You played for the Washington Huskies, didn’t get drafted, then got a shot with the Seattle Seahawks. What was the biggest challenge for you as an undrafted free agent while adapting to the pro level? Making the most of each opportunity when not having opportunities. The NFL is looking to grow internationally. Recently Odell Beckham jr. visited Munich as an Ambassador. Germany is in the conversation for an NFL International Series game. The New England Patriots launched German-speaking media coverage because of their German players Sebastian Vollmer and Markus Kuhn. Bringing the NFL to Germany – a dream scenario for you regarding your background? Yeah and no. The travel would be kind of taxing on players in that case. In the sense of being able to travel outside of the country I think that would be cool. Germany striker Mario Götze was our Mr. Clutch during the 2014 Soccer World Cup. You made a name for yourself by catching some unbelievable balls during the past seasons helping your team to great success. Those NFC Championship Game and Super Bowl catches for example. What’s the secret of being the clutch player you are? Is there any mental training you are doing in this regard? During the EURO 2016 tournament you were discussing the outcome of the Germany-Italy game with your teammate Luke Willson (Italy supporter) on Twitter. In the end you were right, Germany beat Italy in penalties. Are you following German sports a lot? What are your favorite teams? I do follow soccer a little bit and Bayern Munich. I am a big fan of Bayern Munich. In Germany the sports system is different from the franchise system in the US. Many fans are romantics who want the players to stay with their favorite team for their whole career. That’s not common (anymore) – neither in German soccer nor in the NFL. You signed an extension with the Seahawks this offseason. You have played in the Pacific Northwest your whole career. What does being a hometown kid mean to you? I mean it‘s pretty cool to be able to play in front of family and friends and not to have to travel that far and get used to different cultures and weather and stuff. Of course the Seahawks are a West Coast team so there is only a small chance that you’re coming to Germany or another European city to play an NFL game. Are you still planning to come back to Germany one day? I would like to go back to Europe and visit Germany a little bit. My grandparents still live there so that would be cool. Thank you very much, Jermaine. We hope to see you back in Germany soon. You’re always welcome! Read more about Jermaine Kearse’s German roots here. ’12 questions for…’ is a segment where we regularly publish interviews with well-known people who have a connection with the German speaking fans and the Seattle Seahawks. They focus on the relationship between the interviewed guest and our favorite team, adventures and experiences with American Football, and personal stories.